Whatsapp days by days is becoming a top messaging application as well as gradually becoming a necessity. The secret behind this is that there is instant messaging app with WhatsApp mobilefriendly application and WhatsApp is developing Developers Skins & Perfect FEATURES so everyone likes WhatsApp Wihtout saving a mobile phone number you can get a information on how to send a message to the phone number without saving number in your phone. A few days ago I found a boy in college who asked me to send a college document that I had to send to WhatsApp. What would you do if you were in my place? First, take his number and save it, then go to the Whitspap Messenger and refresh the contact list and send it to him by the name miscreants. Very strange we will tell you simple method To give the above example, let me tell you that you can send a message to Whitspace for anyone who has saved a Wthout number. It has lots of advantages and is really a very tricky trick. This cookie will continue to be your privacy, it will tell you the lesson, the way to send contact to Whatsap Messes is very easy. i know you liked it. 1. Your privacy will remain safe, if you do not save his number, then your profile picture & status will not show anything to the front. 2. Save the number can save up to 5 seconds by saving a lot of sadi process and save your time. 4. You can send messages free whipspump in any country and there are also very special features that you will have time to do it yourself. This trick is being provided with the help of a third-party apps. Is a third-party application that you have to install in your mobile after installing Whatsapp. You can send message to Unsaved or Anonymous & Unknown Numbers without saving numbers. Now you will tell me about a third party application which is very full of it. But you must know its limitations and features too. because "It is very important to know about any new thing before using it. This is mine and I can not live without any information to you. 1. You have to be the original version of WhatsApp where it will not work at the whatsapp or other whatsapp turn. 2. There are no limits for any number of messages you can send and this is 100% safe. 3. 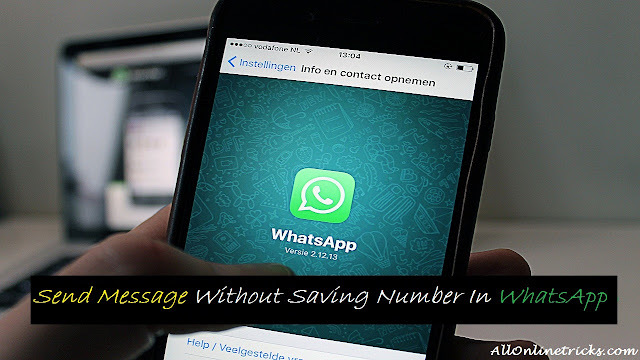 To send a Wthout number, you do not need root access to message WhatsApp. First of all download the "Click 2 Chat" application in Android Mobile then install and open it. 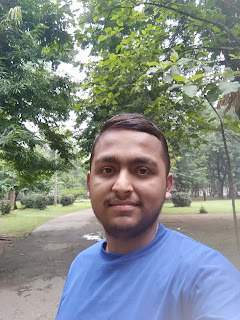 Now in Your Screen he asked for Country Code or Mobile Number India Country Code is +91 So you can type your number where you want to message. Now click on Send Now Your Message Will Successfully Send to It With WhatsApp. If this does not happen with your mobile then install the original version of Whatsapp. To use this you will not have to do any settings here in any settings. Note:- Don't Use This Methods For Spamming Because it comes in Cyber Crime. So Friends I hope you remembered How To Send Message Without Saving Number In WhatsApp Messanger if you have any question, any doubt and any suggestion then you can comment here i try to solve it. Please Share This Post to you friends and also share in All Social Media Like Facebook, Twitter, Google+ and Please Support This Blog. As Always Thanks For Reading This Post.